The Mercedes-Benz Fashion Week at the Smashbox Studios is now over. The final night included a concert and fashion show by the Pussycat Dolls. The show featured lingerie designed by Pussycat Doll founder Robin Antin. Dr. Dre, Puffy Combs, and Quincy Jones were spotted in the front row checking out the show. The Monarchy collection also showed in the main tent. 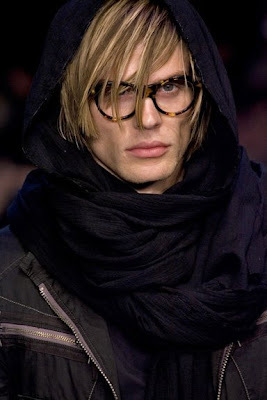 Lots of great looks including some amazing men's and women's huge scarfs. Ashley Paige also showed why she is the best at what she does. Her swimsuit collection was brilliant and even had Sarah Lawson, girlfriend of George Clooney, walk the catwalk for her.